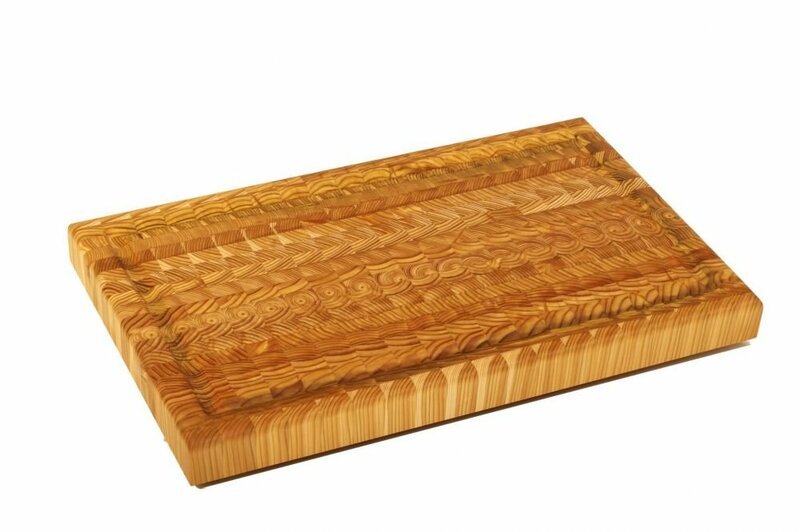 This meat carving board made from end grain larchwood is a perfect board for the grilling enthusiast in your home. This boards is the perfect weight to take on tailgating events and special events as well. Please note we carry an extensive line of end-grain larchwood cutting boards that are handcrafted from the log to the finished product so no two boards ever look the same. We like to think that these boards are “functional art” that are to be used everyday. Come see this collection today!